Is It Worth Doing Journalism Work Experience? For my degree in multimedia journalism, I was required to do during the duration of my course a minimum of 4 weeks of work experience. My first ever bout of journalism work experience came earlier though, when I was 17 and still at college doing my A-levels. At the time I was unsure of what I should do at university – I was good at English and good at writing. Although creative writing interested, I knew deep down that I was incapable of fiction and journalism took on more appeal. 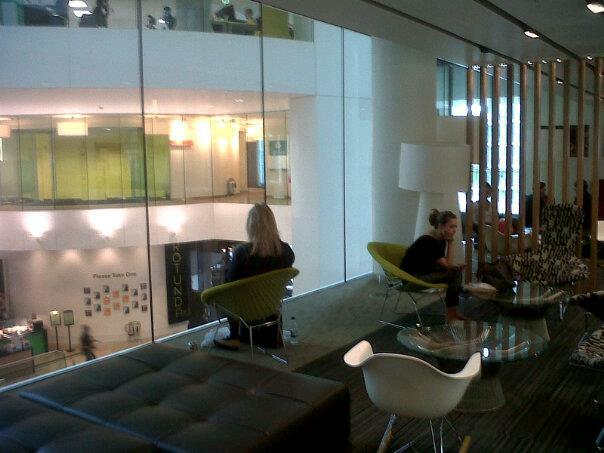 At The Guardian offices, on work experience, September, 2012. So I asked a staff member at college to help me arrange work experience with my local newspaper, The Hastings Observer. I spent a week at the newspaper and managed to gain three bylines. Two lessons stick out from that week: 1. That you could source a story from the Yellow Pages (remember those?) – a lesson not that useful now but opened up my awareness of how stories and sources can be located & 2. How powerful use of language can be and how even a slight variation in word choice can influence readers. After that week ended I grew more attached to journalism and its raggedy, amateur art. When it came time to select courses and universities, my stepfather and I went on a tour of the different journalism degrees. Some presentations were much better than others. Some were downright off-putting. It came down to two choices: City University in London and Bournemouth University. At the time City Uni did not do only a journalism BA. It was History with Journalism. Bournemouth Uni appealed as it taught multimedia journalism which was NCTJ approved and because it was by the sea. Anyway, I deferred for a year, taking a gap year which eventually turned into two. I started my course at age 20. The Press Association (video department) was a great experience as I got the opportunity to interview Boris Johnson (mayor of London) and MPs, participate in a press scrum and attend a beer festival. The UK’s national news agency has a great scheme that if I had pushed more, perhaps I could have got on to, but it would have required a three year commitment or thereabouts. The Guardian work experience was offered to me by the editor as I had written a couple of articles for her previously (unpaid) and so they gave me a week. It was a dream to enter The Guardian’s gleaming offices near King’s Cross, London and I saw a couple of journalists I’ve long admired. It is very much worth doing work experience, but in my opinion it is not worth doing it overmuch. You can also get lucky. A few coursemates of mine got jobs from them, and one of them is now editor at a major publication. It can also be helpful to gain contacts as it can make it easier to pitch later on. An acquaintance here in Beijing occasionally writes for Esquire (UK) as he once interned for them. It will really help your time on your internship if you can pitch story ideas. Do not be afraid to suggest ideas to your editor. It shows initiative, charm and power. Anyone who has a store of good ideas is a source of power for a creative outlet. You will be seen in a much better light if you have the confidence to pitch and the boldness to articulate them. You lose nothing. Even if your ideas are not accepted, do not lose hope, it only takes one to strike for you to be given an opportunity. It helps if the staff like you too. I have found in my experience that if the staff take a shine to you, they will overlook any deficiencies or weaknesses you may have simply because they like having you around in the office. Do not underestimate how important this is. Having good social skills is a skill and intelligence in itself. And those who possess it have an equally legitimate skill as those good with numbers or a facility for study.